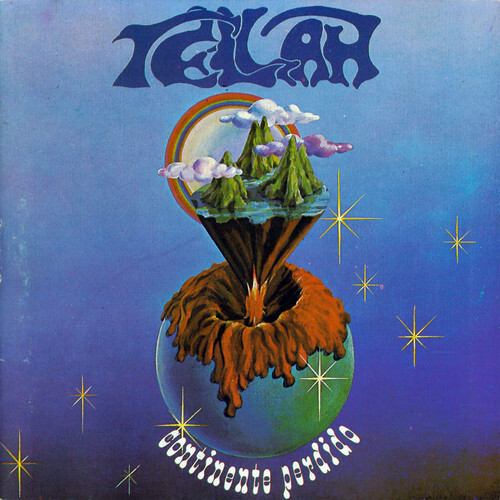 One of the few bands from Brasilia, Brazil's capital, Tellah recorded one legendary album in 1980, then disappeared. A three-piece band of guitar, bass, and drums, two members of whom also play synths, so if you guessed that the music must be based around guitar and synths, you'd be right. It might be said the style is similar to Eloy, but more symphonic, less spacy, with a bit of a Latin touch, primarily on the softer pieces. All the tracks are quite short, under six minutes. The instrumental ("Renascenca," "Segmento") or mostly instrumental ("Magma") pieces tend to be the best, while the vocal-based ballads tend to be the least interesting from a progressive standpoint. Not the most original or exciting music you'll ever hear, but fairly enjoyable. The CD issue seems to have played fast and loose with the original track order, but a programmable CD player takes care of that problem. Also included are two live bonus tracks of poor quality, sonically and musically.